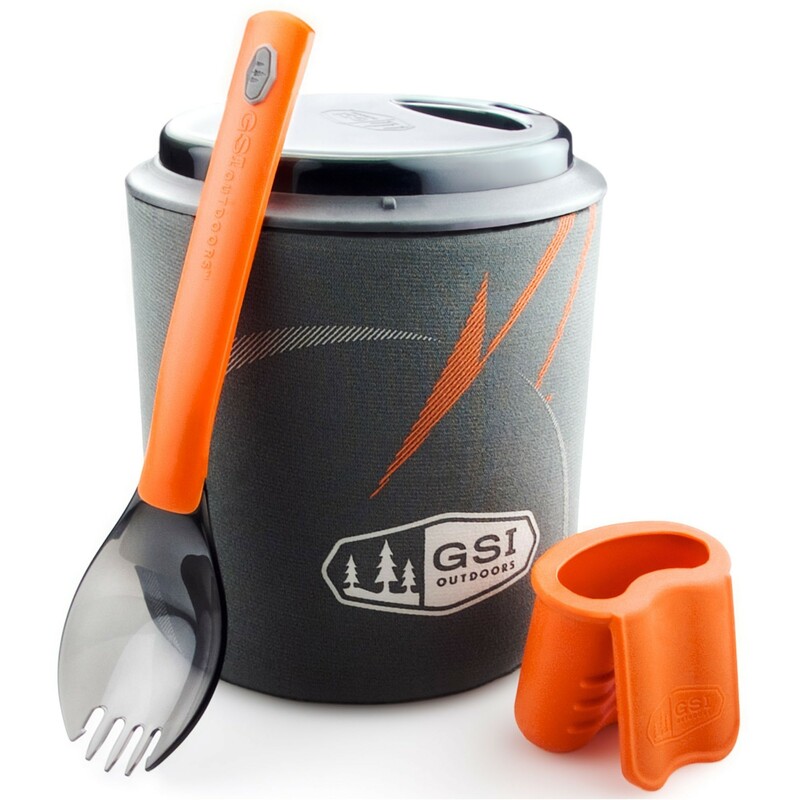 The Halulite Minimalist from GSI is an ultralight, 1-person cookset made from hard anodised aluminium. The 0.6 litre pot doubles as a mug/bowl, and comes with an insulated sleeve to help keep your dinner hot (just make sure you don't try and cook with it on!). To keep the weight down to a minimum there's no pot handle, instead you get a little silicon finger gripper. The included telescopic Foon will get the last of your noodles from the bottom of the pan.